« TLIM Quilt on the Auction Block! 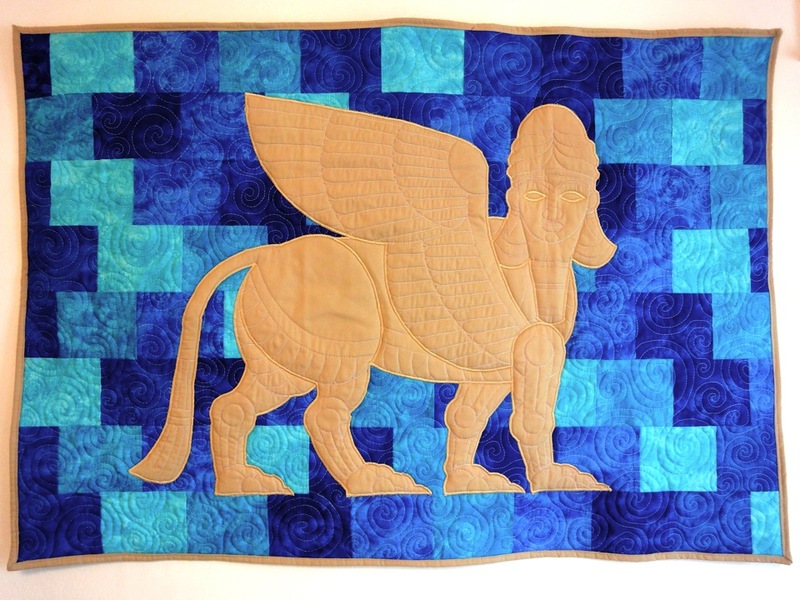 This is a Shedu on a background inspired by the blue-glazed bricks of the Ishtar Gate. 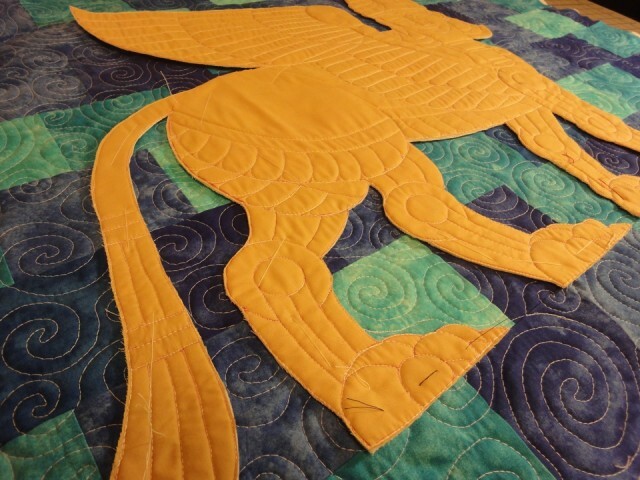 It combines trapplique with pieced quilting – my first! 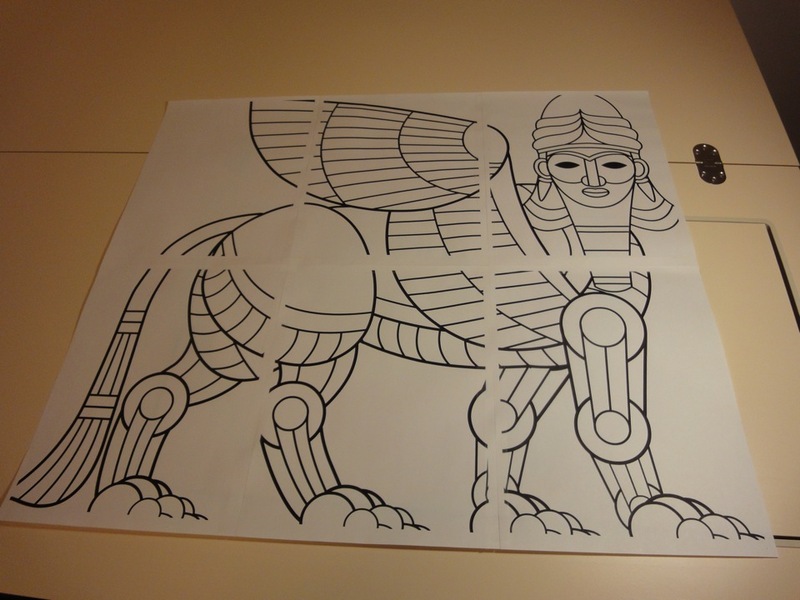 It’s approximately 42″ x 29″. My Shedu design laser-printed on 6 pieces of letter paper and taped together. To maximize size I allowed gaps in the margins. 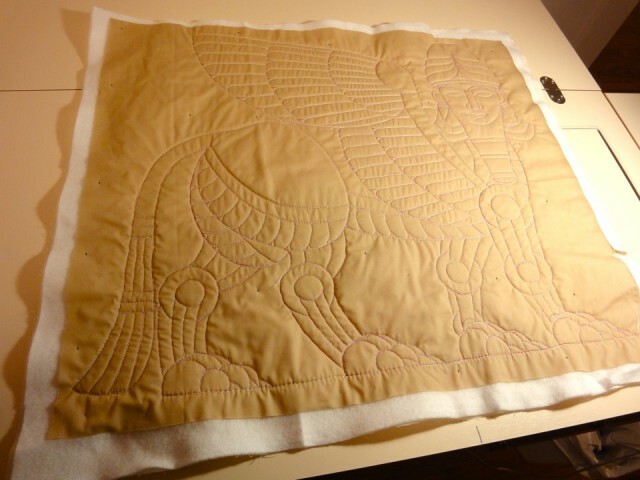 The design traced onto light fabric with an air erasable marker, layered, basted, and free-motion quilted in white thread. I used scissors to cut out the Shedu as close to the sewing line as possible, then thread basted it onto the background which I previously free-motion quilted with simple spirals. Finally I satin-stitched “the snot out of it” as (Leah Day would say), machine-bound it (with fast-finish triangles on the back), and hung it on the wall. The trapplique gives a lovely bas-relief effect. The air-erasable marker is still faintly visible, but will fade fully in a few days. That is excellent. 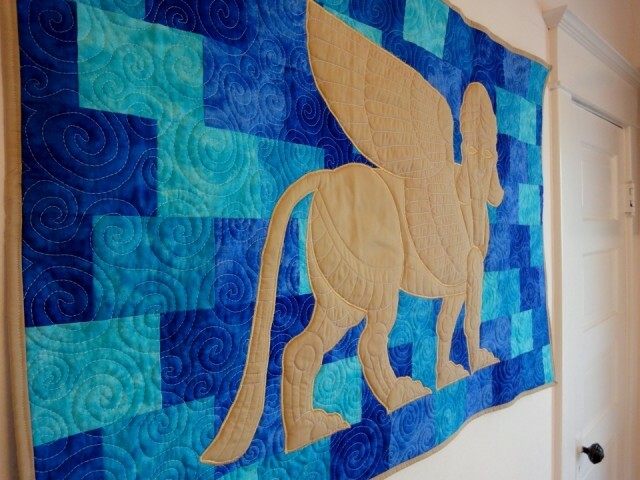 Have you considered selling these amazing wall hangings you make? We have to come up with a new term for this amazing work.